Like the throw rugs they can trip on, the outlets they can insert their little fingers into and even some of the toys they play with, window cords pose a threat to the safety of small children. In fact, the Consumer Product Safety Commission says that about once every month, a child somewhere in the United States dies from window cord strangulation. 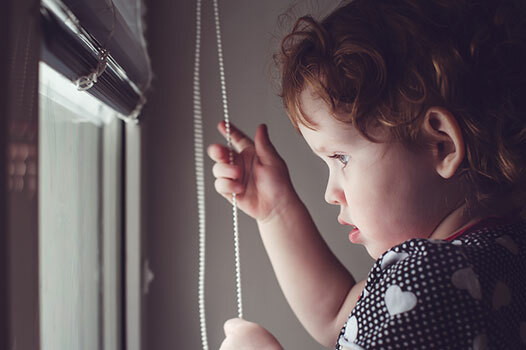 While no parent can entirely "child-proof" their home, there are smart safety precautions all parents can take to protect their children when window cords become the focus of their curious minds and outstretched hands. 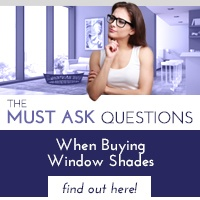 Still, there is no substitute for the best precaution of all, the safety commission says: Installing cordless window coverings, such as motorized shades. These cordless wonders not only mitigate but eliminate the inherent choking and strangling hazards of cords, thereby providing untold peace of mind to parents who learn quickly it takes mere seconds for a fast-moving, inquisitive child to stumble into a dangerous situation. Four types of window cords present their own set of dangers to children. Pull cords pose the risk of choking and strangling if children accidentally wrap the cords around their necks or become trapped in loose, entangled cords. Looped bead chains and nylon cordsnormally dangle off to the side of a window treatment, creating a similar "net" that can capture and strangle children. Roman shades cords can be tugged on by determined children, ensnaring them in the cord or hanging them between the cord and the fabric. Looped cords that raise and lower blinds and slide off to the side can form a loop in which children can become entrapped. Position cribs, beds and other furniture far away from window treatments so children cannot climb and reach window cords. Ensure cord stops are properly installed and that the cords are as short as possible. Anchor cords to a floor or wall or install tension devices to keep the cords in a taut position. 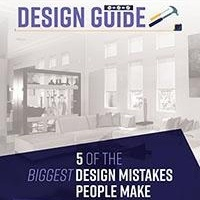 It's no understatement to say motorized shades can give you a new outlook on life – and your windows – between the safety and other features they offer. 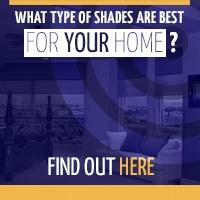 The variety of styles and palette of colors might surprise you, too. 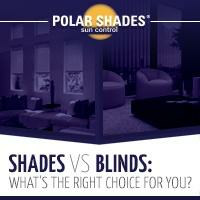 Spend some time with the window shade experts at Polar Shades and they will shed light on your options – so that you can spend more quality time with the little people you love and protect most in life. Call 702-260-6110 to set an appointment today.